The Galaxy J2 (2018) is clearly one of Samsung's budget-friendly smartphones that will make its debut on the market in the coming weeks. We've already reported on the handset last month when we told you Samsung plans to sell the Galaxy J2 (2018) for around €115. Today, we're here to tell you that Samsung has just listed the Galaxy J2 (2018) on the official website. Although the South Korean handset maker did not confirm the phone's price tag or specs sheet, but at least that's an indication the Galaxy J2 (2018) will be introduced very soon. 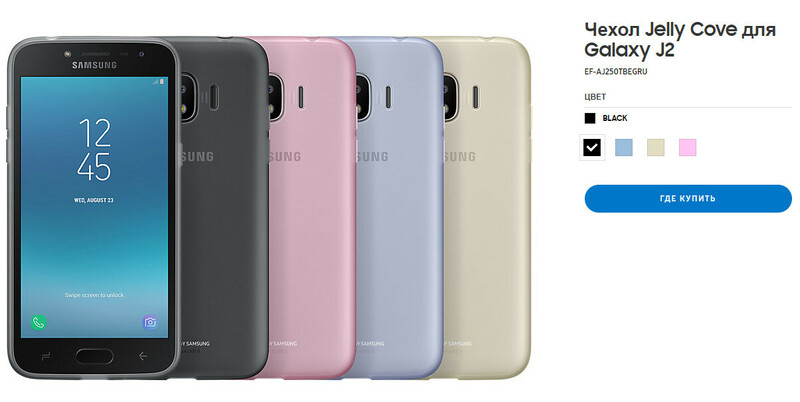 One thing that we're able to confirm is Samsung's entry-level smartphone will be available in four color options: Black, Blue Coral, Gold, and Pink. Here is what you can expect if you plan on getting the Galaxy J2 (2018) when Samsung launches it later on. First off, the smartphone will be equipped with a 1.4GHz quad-core Qualcomm Snapdragon 425 processor, 1.5GB RAM, and 16GB expandable storage. Also, the device is expected to feature an 8-megapixel rear-facing camera, a secondary 5-megapixel selfie snapper and a 2,600 mAh battery. Sadly, the Galaxy J2 (2018) will run Android 7.1.1 Nougat and it's unlikely to be upgraded to Android Oreo if that proves to be true. ... but it only costs a quarter of what the iPhone 5C or iPhone SE cost when they launched. I like iPhones, but the price is so high I'm not likely to ever own one, and if Apple's strategy of exclusivity and higher prices works, then I will definitely never own one. Even Samsung handsets are a little overpriced compared to devices from LG and Motorola and the like, but this is not bad among Samsung devices. It meets my minimum requirements for RAM and ROM size, among other things. I don't care if the iPhone works better - I can't afford an iPhone at this point.